buy provigil ireland http://amandaaz.com/?p=1506 It’s a chilly, damp Wednesday and my to-do list is far longer than I would like it to be. Mostly because I all but ignored it yesterday. Fatigue and arthritic pain have a way of putting a halt to my days. I tried upbeat music, some Netflix…sigh. It’s just one of those days. But even this slow day is filled with reasons to continue my theme of Gratitude this month. I am in my cozy house, away from the chill. Netflix is easily pulled up on my laptop. And my music lists are numerous, so I never get bored. Ah yes, thank you, Lord, for music!! It’s hard to believe that Thanksgiving is just a week from tomorrow. Bruce & I will be visiting my mom in South Carolina. I am immensely grateful that we have a reliable vehicle for the long drive. Barring any sudden kidney stone episodes, Bruce is able to make the drive, and actually enjoys it quite a bit. I have some books downloaded to my Kindle app, and I’ll probably bring one or two paperbacks with me. I am blessed to have many wonderful road trips in my life. Mom asked me if there was any food I would really like while visiting her…she is a very good cook. I mentioned a few things, can’t really remember all of them, but that’s okay. My mom’s home-cooked meals are always yummy. 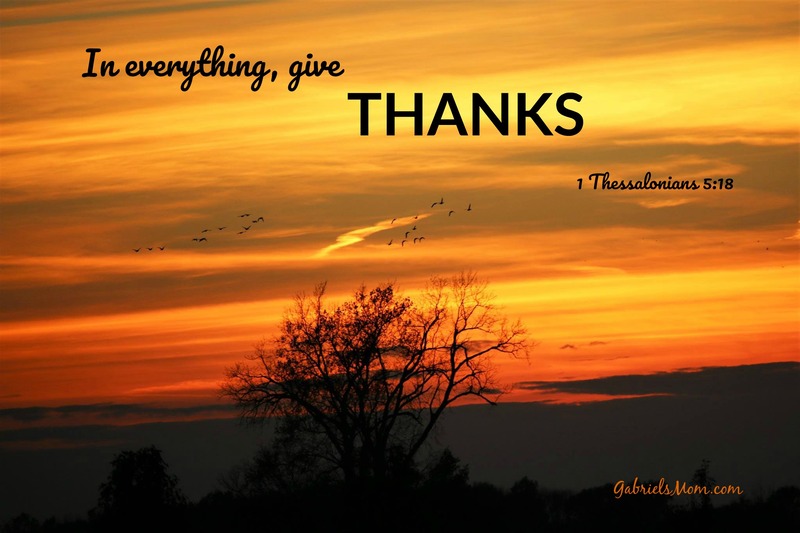 Another reason to give thanks! I’ll also pack a “small” bag with craft supplies, since mom and I often make a few cards together when I visit. How small depends on my mood Friday. Fortunately, mom has a Big Shot, so I won’t have to pack mine…but which embossing folders? Die cuts? I could go crazy rather quickly! She wants to make some basic note cards, and I may try completing a dozen or two Christmas cards. I’ll leave the messy glitter at home. I am thankful that my supplies and options are so numerous. In a short while, one of my cyber buddies, Allison from Reconciled to You, will go live on Facebook for a chat about faith. We have never met in person, though we have spoken on the phone once or twice when she had a podcast. I love connecting with other women of faith online, because if I had to rely strictly on face-to-face encounters, there would be so many people I would not know; so many testimonies I would never have heard. I think about chats with ladies from Blessed is She, and I am following the WINE and Shrine Pilgrimage updates on Facebook. While I hope to meet Allison in real life, and many like her, I am grateful to live in a time and place where “virtual” relationships can sprout and even flourish. After I wrap up this post, I think I will pull out a few cards that I have made, and write a few notes to friends and family. I have belated birthday greetings and a few get well cards that should be mailed tomorrow. What a blessing to have so many people in my life. (I really should be making and sending more cards to keep up!) I am grateful to God for everyone of them! We’re halfway through November. What are you thankful for? Share below…I’d love to read your thoughts! Are You Ready for Him? Subscribe to never miss a post. Copyright © 2019 Kim Padan | Gabriel's Mom. All rights reserved.